For those wall clock has passed into history and recognize just remember the time if it is not a digital clock… or for those who can not wait any longer to the inscriptions of the next edition of the Cadi Challenge open. 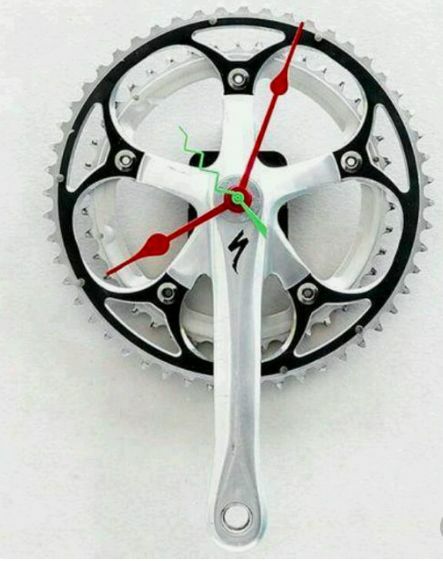 You only have a mechanism of wall clock hands, you're bound to have some neglected in any room, yes, you must put new batteries and clean the bicycle transmission. Perhaps the hardest part is to pass the needle through the hole of the dishes. This will depend on the length of the needles. All these watches can be removed easily so do not panic and do not dedicate yourself to twist the needles to pass them.